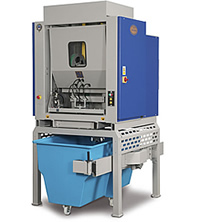 Designed to break up compressed “cakes or cheeses” which have been discharged from a water extraction press and can operate completely freestanding or in conjunction with an Autoprep. Automatically separates tangled workloads of laundry and presents the article to the feeding machine. 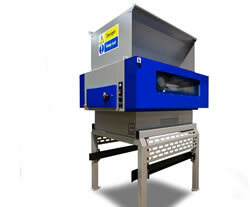 Manual and integrated automatic loading systems available.